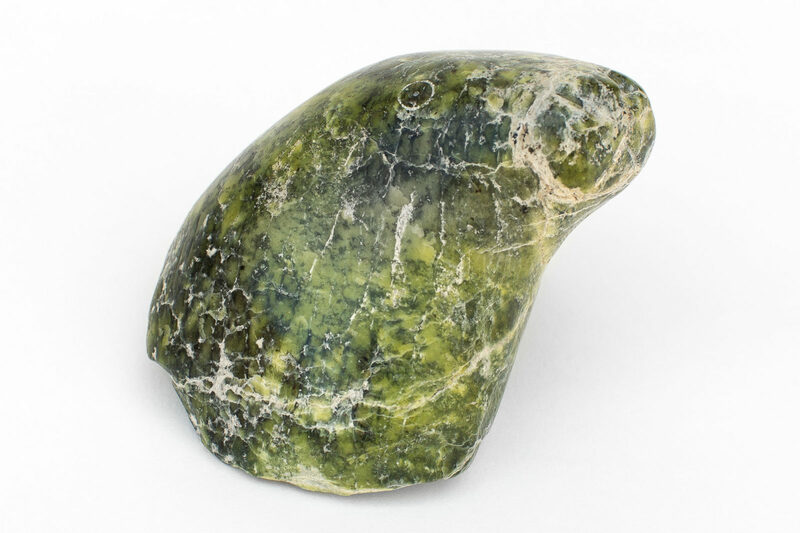 untitled (seal), 1970-1980, serpentinite, 14 x 6.25 x 5 in. 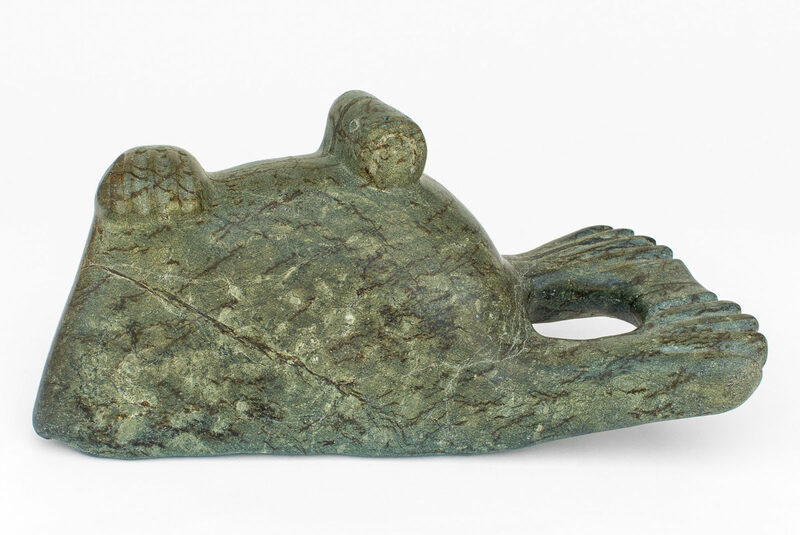 untitled (bear/bird spirit), c. 1970, serpentinite, 4.75 x 13.5 x 2 in. 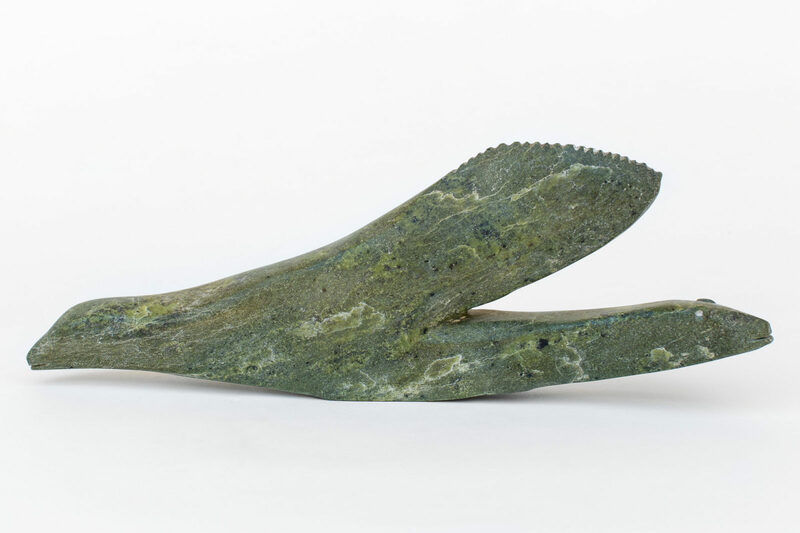 untitled (seal head), 1970-1980, serpentinite, 3.75 x 2.5 x 3.25 in. 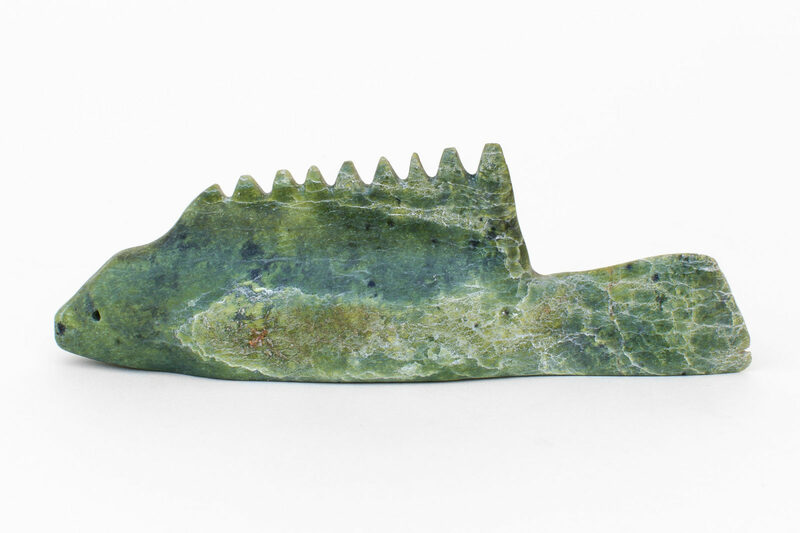 untitled (fish), c.1970, serpentine, 6 x 2 x 1 in.